This is the most common plan and suits the needs of athletes of all levels. Although most athletes are based in the Greater Kansas City area, clients on this plan have lived all over - from Philadelphia to Hawaii. Fee: $350 First Month then $200 per month (no minimum). Initial consultation to discuss goals, background, etc. Custom Team uniform and training kits provided at cost. Special "Spouse Rate" for couples. 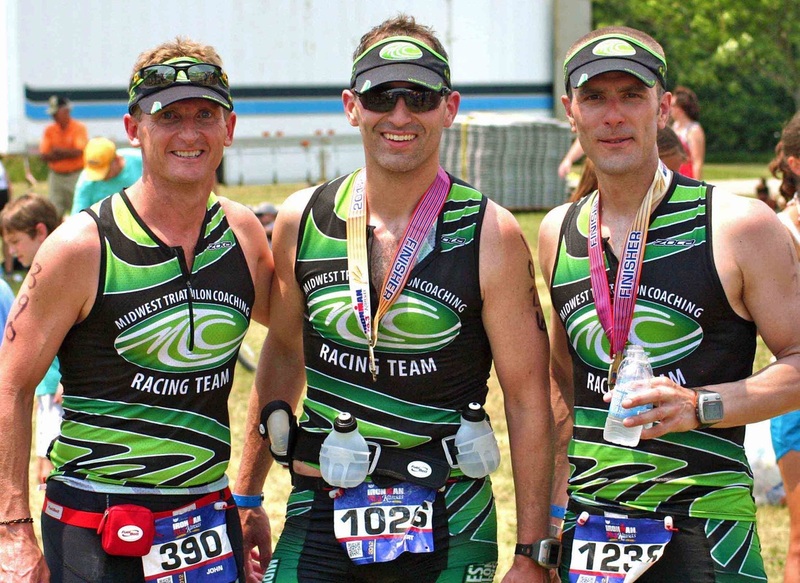 Professional Coaching clients - all smiles at the finish line.